Custom Filing Supplies - Are They Right For You? 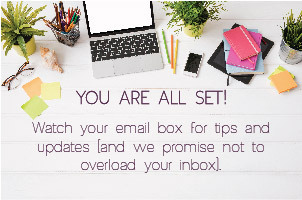 Much of the discussion about improving a filing system involves the indexing or labeling of files to make them easier to find. 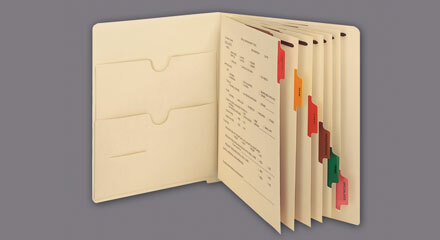 But the essential element of the filing system is the folder itself. It’s the keeper of the documents. 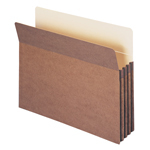 Although a plain manila folder will safely house records, the folder can be far more helpful if it helps save users time while they are using the documents in the file. 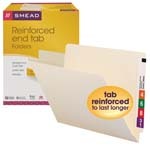 Smead offers many styles of folders with fasteners, dividers, pockets and other enhancements to help streamline workflow and provide quick access to information. But sometimes the best solution is one that’s designed specifically for the job. 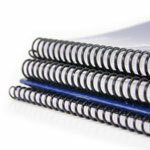 Smead will make folders to your exact specifications. Look at how the documents get used, and create a folder that allows users to find information quickly and assists in their work processes. 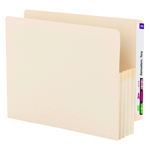 A printed form on the folder, or a set of dividers with your headings printed on the tabs can save employees valuable time while working with the file. If you have something in mind that will make working with the records easier, Smead can build it right into the file. One of the most time-consuming functions of maintaining a filing system is creating new files. 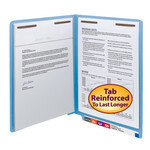 Avoid the cost of your personnel time by ordering folders pre-assembled and pre-labeled. 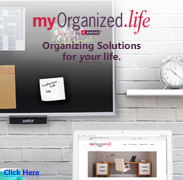 Your filing system should make your job easier. If you know what you want, Smead can create it. 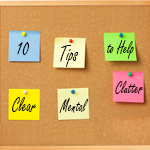 If you need help figuring out what’s best for you, we can provide assistance. In a one-size-fits-all world, it’s nice to know you can get something that’s made just for you. 6 Guidelines for Records Retention: Keep It or Toss It?